Justin Bieber- Down To Earth: This is one of my all time favourite songs, it is really beautiful and has always had a special meaning for me. One Day More- Les Misérables: This is from my all time favourite musical and it's absolutely brilliant. All the characters come together singing about their own situations into a great overlapping, powerful, beautiful song. It's amazing. On My Own- Les Misérables: Another song from Les Mis that is so beautiful, well all of them are but if I had to choose it'd be these two that are my favourites. McFly- Obviously: This song is a definite favourite from my childhood and has such a sense of nostalgia to it for me. Every time I listen to it it's as good as the last. The Vamps- Wildheart: A really feel-good song that makes you want to dance and live in the countryside. 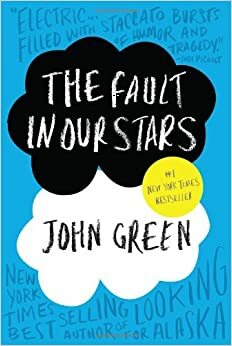 The Fault In Our Stars- John Green: A really beautiful book with wonderful characters, I cried through the last five chapters. The Perks of Being a Wallflower: A really good coming of age book. The Hunger Games- Suzanne Collins: Just read this on holiday and it was amazing, couldn't put it down. I plan to try and read the next two before the last couple of films come out. The Night World Series- Enchantress- L.J Smith: I read this book a couple of years ago I think now and I remember reading it at the speed of lightning- I couldn't put it down. I think it's one of the first books I've ever cried at. The Jane Blonde Series- Jill Marshall: These were some of my favourite books when I was younger. Harry Potter and The Goblet of Fire: Initially this is one of the only Harry Potter films I had on DVD and I must have watched it at least 40 times. It's amazing. I just love Harry Potter anyway, but this has to be my favourite film if I had to choose. Pirates of the Caribbean Dead Man's Chest: My favourite installment of the Pirates of the Caribbean series, this film is non-stop adventure and there are so many funny moments. Freaky Friday (the recent version): A really funny film with a lovely, heartfelt side to it as well. Angus, Thongs and Perfect Snogging: A great coming of age film, it's so funny and relatable. The Mummy: I absolutely love this film, it's story-line is great and its characters. Everything about it really. The Vamps: I love their music so much, their debut album Meet The Vamps has been the soundtrack to my summer. The Maccabees: Their music is so good and I just love it. Coldplay: Again, I love their music. My favourite song by them is Yellow- it's so beautiful. McFly: One of my favourite bands as a kid and still one of my favourites now. I just love them. Their music is great and they are amazing people. One Direction: Yes, I admit it. I love One Direction. I adored them when they were contestants on the X-Factor and they still have a place in my heart now. 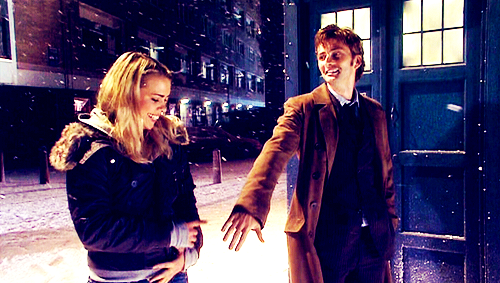 Doctor Who: This was my absolute favourite TV programme as a kid and I still love it now. Merlin: The humour and storylines in Merlin are absolutely brilliant. I love it. Robin Hood: I loved it when I was a kid and still do. I was gutted when it finished. F.R.I.E.N.D.S: I must have watched every episode of it atleast 10 times, it's hilarious. Glee: Such a feel-good programme. Yes, it can be cheesy at times, but it is funny, makes you happy and has a wonderful message behind its episodes a lot of the time. An interesting mix of fantasy and magical realism in your choices Sophie. There is also a huge range of emotions in the music and film you like, from blissful perfection to melancholy. Your passion for music and literature really comes through this post. Well done.